Combining our know-how on chemical engineering and precision and micro-machining technology, our group is ideally positioned to develop novel devices and processes in the area of microfluidics and microreactor technology. 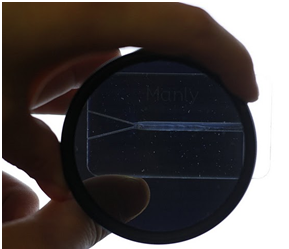 The ability to accurately position tailor shaped micron-sized structures by precision machining enables microfluidics novel physical and chemical phenomena. This research line is fed by the vast know-how in micromachining (ranging from sub-micron lithographic etching to micro-precision CNC machining), by the department’s extensive know-how in flow modeling (CFD), as well as by the application know-how in the fields of catalysis and separation science of the department. Besides on-chip characterization procedures by means of fluorescence microscopy and other on-chip detection methods, the validation of the prototypes occurs with commercially available characterization equipment.